The State of Tennessee has adopted two official state wild flowers. The passionflower was the state's first official state wild flower. In 1973 the passionflower was named Tennessee's official state wild flower at the same time that the iris was made Tennessee's official state cultivated flower. The passionflower was also Tennessee's first official state flower. 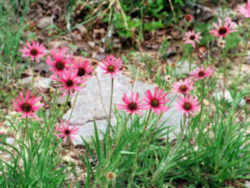 Tennessee echinacea (Echinacea tennesseensis) became the second official state wild flower of the State of Tennessee when Governor Bill Haslam signed Senate Bill No. 2976 on April 30, 2012. Listed as an endangered species in 1979 by the U.S. 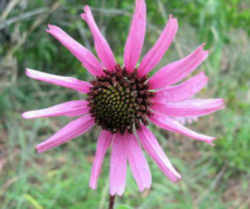 Fish and Wildlife Service, Echinacea tennesseensis has been delisted due to recovery. 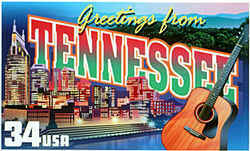 Tennessee echinacea is also commonly known as the Tennessee coneflower and the Tennessee purple coneflower. This U.S. native plant, commonly known as Tennessee coneflower, is only known to exist naturally on certain glades near Nashville, Tennessee, and is on the Federal Endangered Species List. A daisy-like coneflower which features slightly upturned, rose-purple petals (ray flowers) and spiny, coppery center disks with a green tinge. Long summer bloom period from June until August. Flowers grow on rigid stems up to 2.5' tall, with dark green, linear foliage. This species is very similar to E. purpurea (Missouri native), except that E. tennesseensis is somewhat less vigorous and smaller, and has shorter, more upturned ray flowers, a vertical rootstock and more narrow, linear leaves. The Tennessee coneflower is one of the nation's rarest wildflowers (Clark 2000). Known only from five populations within a 14 mile radius in Middle Tennessee, it was the second plant listed as endangered by the U.S. Fish and Wildlife Service in June 1979 (USFWS 1989). First listed in the Flora of Tennessee in 1906, the plant was thought to be extinct for half a century until it was rediscovered in 1968 in LaVergne (near Nashville) (USFWS 1989). This site was destroyed by the construction of a trailer park in the 1970's. Two other colonies, discovered in 1972, were destroyed prior to 1975 by housing developments (Shea 1997). The story above illustrates the major threat to E. tennesseensis; Nashville and the surrounding area is undergoing rapid development, encroaching on the coneflower's habitat. Recently, one site was destroyed by the development of the Nashville Superspeedway that opened in 2001. Cedar glades dominated by red cedar and where the limestone bedrock is either exposed or covered by a thin layer of soil (USFWS 1989). E. tennesseensis is often found with Juniperus virginiana, Petalostemon gattingeri, and Sporobolus vaginiflorus (USFWS 1989). Tennessee (USFWS 1989, Kartesz 1996). Five populations, individuals can range from 2,000 to 100,000 plants (USFWS 1989). 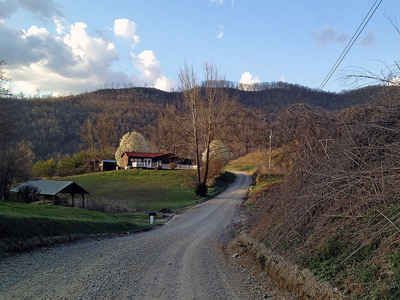 AN ACT to amend Tennessee Code Annotated, Section 4-1-306, relative to state wild flowers. (2) Tennessee Echinacea, Echinacea Tennesseensis. The law designating the Tennessee Echinaceaas the official Tennessee state wildflower is found in the Tennessee Code, Title 4, Chapter 1, Part 3, Section 4-1-306. HISTORY: Acts 1973, ch. 16, § 1; T.C.A., § 4-117; Acts 2012, ch. 829, § 1. Find images and a brief history of the flowers representing, usually by legislative action, the state symbols of each of the fifty states. The term floral emblem, which refers to flowers specifically, is primarily used in Australia and Canada. 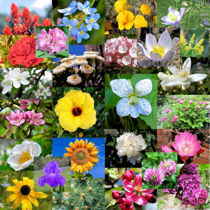 In the United States, the term state flower is more often used.